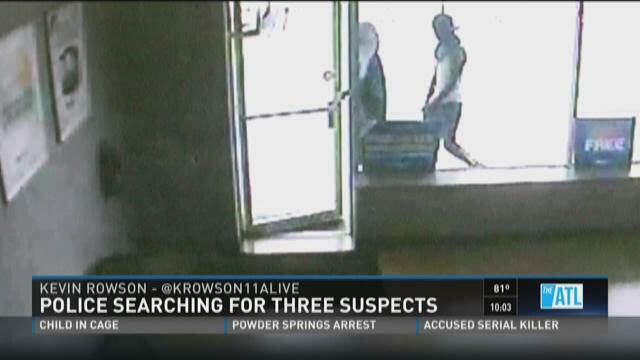 EAST POINT, Ga -- Police are searching for two gunmen and a woman who drove a getaway car in an armed robbery and sexual assault at an East Point cell phone store. Police said it is very rare that a sexual assault happens during a robbery. "We are endeavoring every means at our disposal to get these people in custody because an act such as this deeply concerns us," said Capt. Cliff Chandler. EAST POINT, Ga. -- Homeowners near the Atlanta Medical Center on Cleveland Avenue in East Point say the noise from hospital cooling units echoes nonstop throughout the neighborhood. Residents say they've contacted the hospital and gotten lots of promises, but nothing has been done to curb the continuing noise. The loud grinding noise that never stops comes from the huge air conditioning units adjacent to the emergency room at Atlanta Medical Center-South. Neighbors say enough is enough. EAST POINT, GA -- Police in East Point are looking for three men who they say shot and killed a 14-year-old boy Monday afternoon. Police believe the boy was with acquaintances who were the actual targets of the gunmen. The case had puzzled police because the it had all the characteristics of gang violence – but the victim was described a quiet, nerdy kid who loved video games. Police said late Monday afternoon they believe that Anthony Harris, 14, was not the intended target of the shootings, which took place in the breezeway of the apartment complex where he lived with his mother and two younger brothers. Police say three men pulled up at about 12:30 p.m., spotted Harris and two other males in the breezeway, and opened fire. 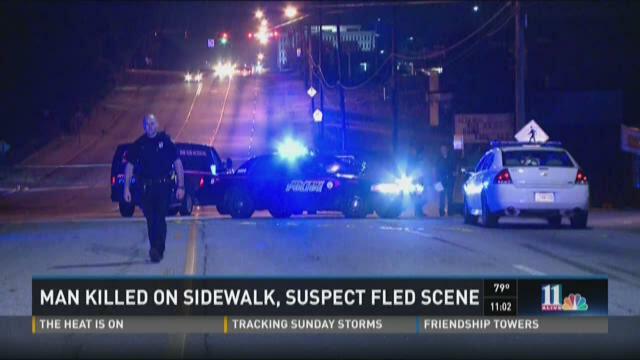 ATLANTA -- Atlanta Police have arrested the driver accused of hitting and killing a man walking his bicycle down Cleveland Avenue over the weekend. Roman Redding, 32, has been charged with vehicular homicide, leaving the scene of an accident and failure to maintain lane. Redding is currently being treated at Grady Memorial Hospital and will be transported to the Fulton County Jail when he is released. The spray painted evidence markings tell the story of what happened Sunday morning. A driver swerved against traffic and struck and killed a man before fleeing the scene. Desiree Mack noticed that driver about a block up the road. EAST POINT, Ga. -- East Point officials have confirmed that a child drowned, Wednesday afternoon. The incident happened at the pool area of Parkside at Camp Creek Apartments around 1:30 p.m.
First responders attempted to resuscitate the child who was unresponsive when they arrived. Attempts to revive the child continued at Hughes Spaulding Hospital but were unsuccessful. East Point police said the nine-year-old child's uncle was nearby at the time of the drowning. The drowning appears to be accidental and no foul play is expected at this time. However, the body is being transported to the medical examiner's office for the completion of the autopsy to confirm. Initial investigations suggest the child was swimming and, for an unknown reason, became unresponsive and drowned.